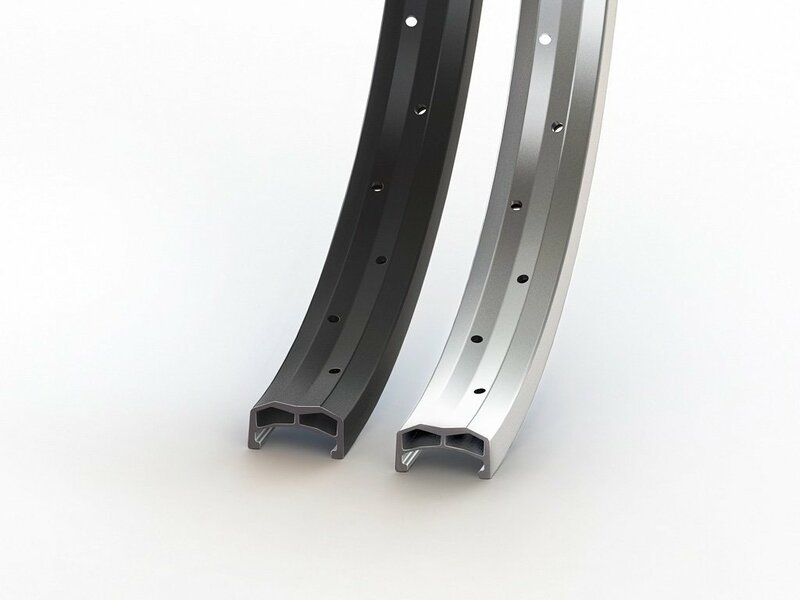 The BSD "Nasa" Rim is a very high quality and stable rim. The hollow chamber design with its double box section and extra thick side panels as well as the reinforced material in the spoke holes area provide very high stability. 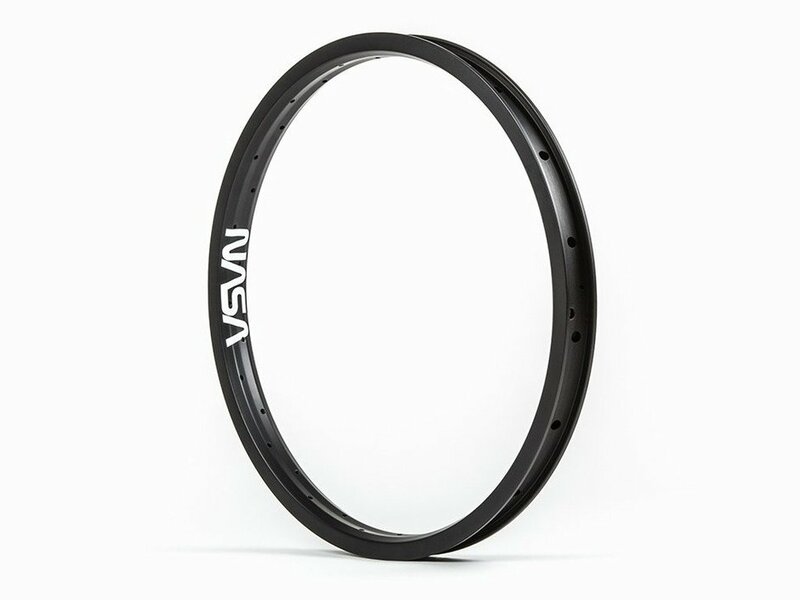 The for this BSD "Nasa" Rim provided crossed laced type of spoke arrangement results in a very stable wheel that meets the requirements for hardest street riding.